Joe Root says England's first away Test win in over two years represents a "fantastic start", but he is keen to now secure more victories in Sri Lanka. 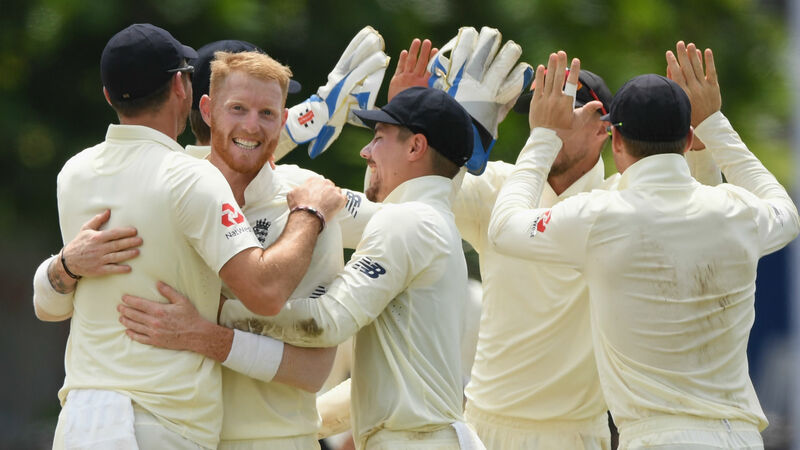 The tourists triumphed inside four days in Galle, breezing past Sri Lanka by 211 runs after big centuries from debutant Ben Foakes and under-fire opener Keaton Jennings. And while England have ended a poor run of results away from home in the longest format - having last won in Bangladesh in October 2016 - Root's plan is to make sure this is not a one off. "I think we've got to take everything we've done in this game and, as much as we can, transfer it into the rest of the tour," the captain said. "It's been a fantastic start to things. "We've got to build on it and make sure we don't rest on our laurels now. We will work very hard for that second Test match and hopefully back up a good performance." Our first away win in 13 matches - and first ever in Galle! Root reserved special praise for Foakes, who stole the show with 107 runs in his first innings on the Test stage. "For a guy to come in on his debut and play an innings of that substance is exactly what we're after, for him to stand up and deliver," Root said. "We're really proud of him and really proud of the rest of the guys."